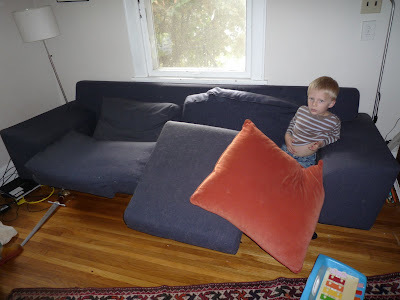 Me: Joe, will you help put the couch back together? Me: Great! What about those other two cushions?